Today estimates put the number of Muslims living in Europe at about 44 million – no official data is available, but almost all European countries host a Muslim minority. The vast majority are responsible citizens. But it is important for Western governments to understand that Islam has a radical part -called ‘political Islam’- that is not homogeneous but has violent as well as non-violent faces; and that in fact it’s the NON-violent faces of political Islam that are the most dangerous for their societies. “Salafism preaches a return to a mythical Islamic golden era that can only be obtained by referring to the only unadulterated sources: the Quran and the hadith. Salafism is “not only scripturalist but also literalist,” arguing that Muslims should behave exactly how the pious forefathers of Islam behaved, according to these sources,” writes Vidino. “Most refute violence, at least in Europe, but some do not and are better categorized as violent rejectionists–the lines are in some cases blurred. Salafism has been able to attract a growing number of European Muslims through its claims of simplicity, meaning and moral superiority,” Vidino adds. 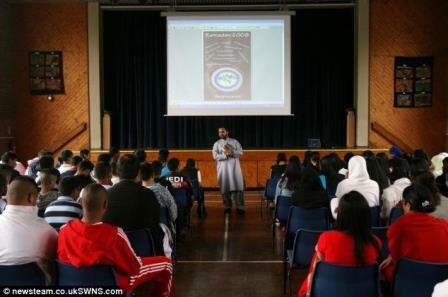 In the Birmingham schools, recruitment of Salafist parents onto committees was shown as one strategy used.